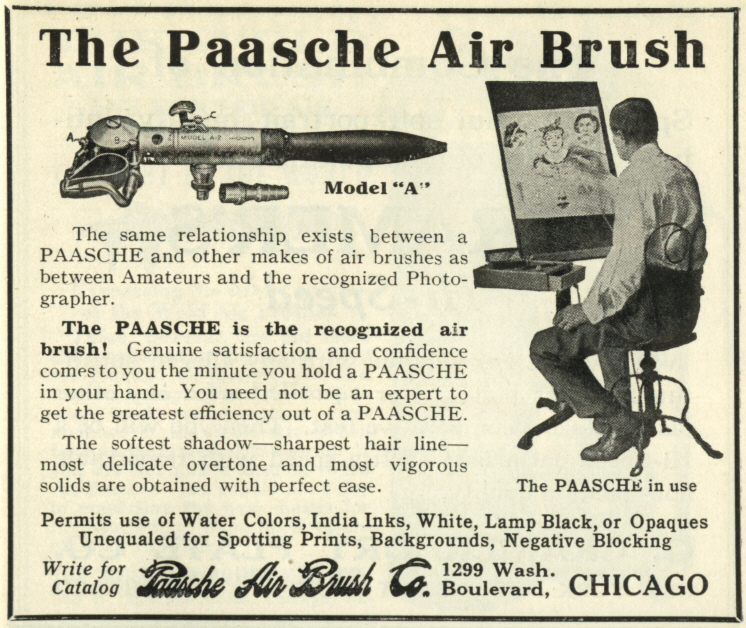 An ad for the Paasche "Model A" from the 1921 book "The Photo Miniature" series of books. The issue is titled "The Air Brush and the Photographer" The "Model A" is the forerunner of the "Type AB" turbo that is still made. AIRBRUSH MUSEUM PRESENTS AN AIRBRUSH HISTORY FEATURING A TIMELINE, PHOTOS, AND PATENT DRAWINGS.